New Zenith 601 XL(B), Conventional Gear, Jerry Baak, S.C. I had a few calls back and forth with Jerry Baak in the past 10 days leading up to his first flight. Every single thing I could think of to ask him had already been taken into consideration. He was very well prepared for his first flight, and when the morning came, it went off without a hitch, because prep work always pays off in aviation. Above, a good look at Jerry’s 601XL on the first flight. His aircraft has conventional gear just as our 601XL did. The Zenith makes an outstanding tailwheel aircraft for builders who choose to build it in this configuration. Above, a full, but fairly conventional panel and dual stick controls. Our 601XL was the first XL kit with dual sticks in place of the traditional Zenith Y-stick. The stick geometry on our prototype was good, but the production dual sticks had a slightly revised design that had better control harmony. The military style grips in Jerry’s 601 are appropriate; he has a lot of experience flying F-101 Voodoos in the USAF. Above, a nice profile of a very good-looking aircraft. Jerry’s plane uses all of our standard installation components. Jerry’s plane is powered by a 2700cc, 100hp engine. He has been working on it for a number of years, and it is a good example of aviation decision-making. His plane has an MA3-SPA carb of the correct model. His aircraft had Falcon heads from the start. When the Weseman bearing became available, Jerry bought one and installed it. His plane has a Niagara oil cooler. 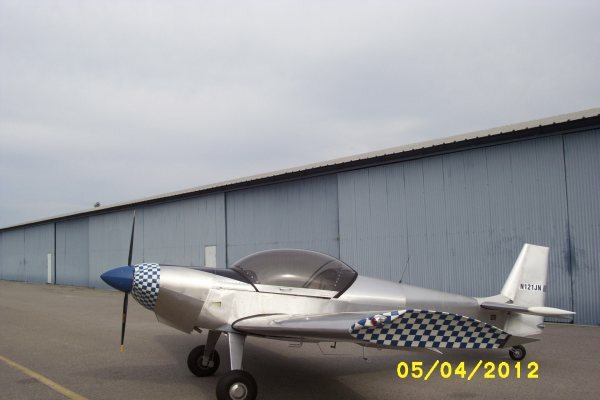 When the Zenith B model wing mods came out, Jerry installed them. 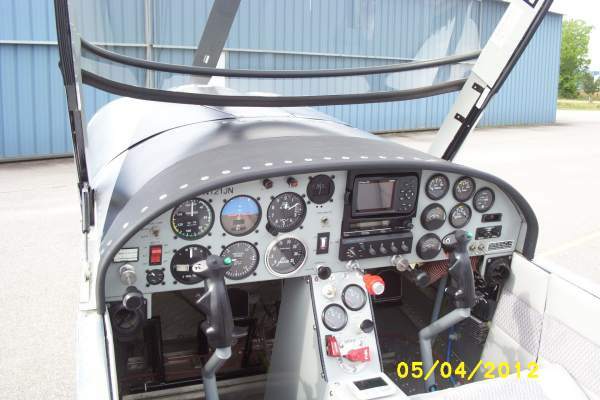 Several times a year, I inspect aircraft that have none of these upgrades, but the builder has a $3,000 paint job, a $4,000 Garmin and a $1,500 interior. The choices Jerry made reflect the background of an aviation professional. He adopted all the things that would allow him to take advantage of all of the mechanical upgrades that we had taught builders over the years. You can always paint later. Jerry’s success brings several thoughts to mind. If you’re wondering if homebuilding is an adventure worth all the effort, let me point out that Jerry has previously flown around the sky in a 1,000 mph fighter and he still finds homebuilding an aviation endeavor well worth the effort. Second, Jerry’s aircraft is another example of the success of our methods of teaching people to build and install Corvairs. I have never seen Jerry’s plane, nor his engine in person. The information transfer on how to build and install the engine was done by Manual, DVDs, a few e-mails, and a handful of calls. For people who are in aviation to find out how much they can learn, what they can master, and what they can build with their own hands, the Corvair has unmatched appeal. Third, after being in aviation for a long time, Jerry understands that Rome wasn’t built in a day, it cost some money to do it, and that it was probably built by persistent people. It is often hard to explain to people just arriving from outside aviation that the people who will be successful have a handful of common characteristics: They are persistent; they like learning; they understand that having a small cast of knowledgeable supporters is very important. Those new to aviation are often told the myth that they can substitute money for the first two, and they often think that easy answers from local “experts” or anonymous people on the Net are better than factual ones from proven sources. The rest of the world likes answers as fast and conveniently as possible. This works just fine if you’re trying to buy an overpriced mocha cappuccino, if you need to know if Lindsay Lohan is back in rehab, or if you need to know what some D-bag from a PAC just tweeted about his candidate. Having the wrong answer carries little penalty in the above matters. Successful people in aviation all understand that having the correct answer in aviation is always imperative, and quick answers are not a substitute. Above, the machine and its proud creator. Sharp eves will notice that is has a Warp Drive prop, but the decals are from a different company. The plane ran flawlessly, and displayed very good cooling, despite high ambient temps and the engine just beginning its break in. Jerry plans to open up the inlet holes to 4 and 7/8″ and install inlet rings for good measure. This will ensure that the engine stays cool, even at full gross, the slowest climb and full power on the hottest day. 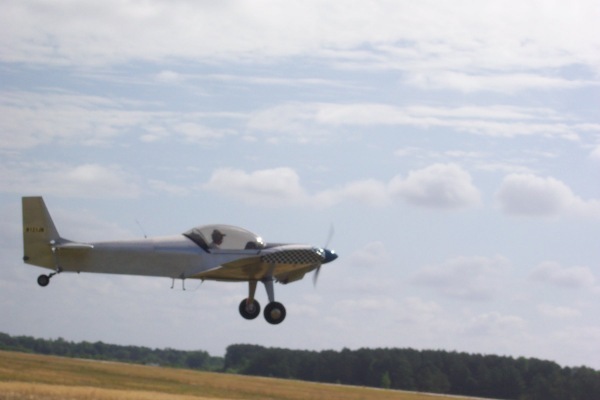 Jerry’s plane is the 50th Zenith 601 to fly on Corvair power. It has now been more than eight years since we pioneered the Corvair/Zenith combination with our own aircraft. Zenith builders have a broad variety of possible engines to choose from. The appeal of the Corvair is many fold: It is inexpensive, it is very smooth, very simple, you can build it yourself, it is long proven and well supported, and it is made in America. It isn’t for everyone, but for those who do choose it, it will serve them well. 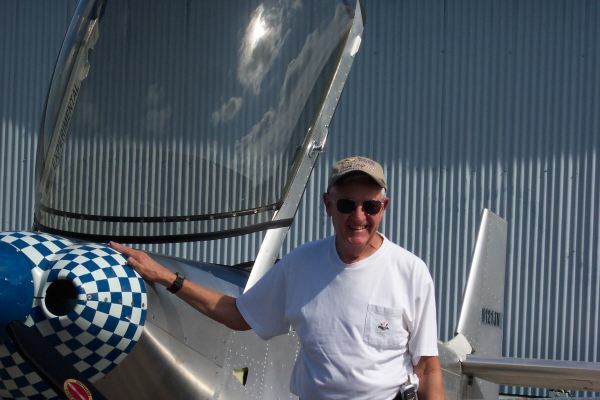 Hats off to Jerry Baak, the world’s newest Corvair pilot.